A 19-year-old Gardena man who pointed a laser at an airplane and two helicopters near Hawthorne Municipal Airport on Valentine’s Day was sentenced Monday to a year in jail and three years probation. 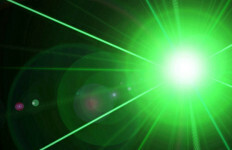 Enrique Felix Gomez pleaded no contest Sept. 14 to discharging a laser at an occupied aircraft. On Feb. 14, Gomez pointed the high-powered green laser at a private plane that was preparing to land at the Hawthorne airport on Feb. 14 — the pilot’s girlfriend and family were also on board — and at Los Angeles County fire and sheriff’s helicopters, prosecutors said. Two of the pilots said they were temporarily blinded. The FBI offers rewards of up to $10,000 for information on people pointing lasers at aircraft and estimates that thousands of dangerous attacks go unreported every year. The light from a small handheld laser is not a pinpoint when it reaches the cockpit of an aircraft, but “equivalent to the flash of a camera if you were in a pitch-black car at night,” according to an FBI website.